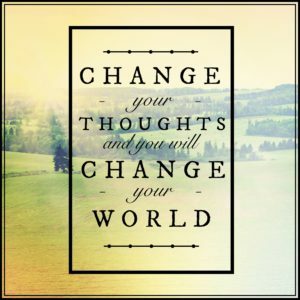 Cognitive Behavioral Therapy (CBT) is a highly effective approach that helps one recognize and change distorted thoughts and perceptions about oneself and the world. During CBT one learns to disrupt automatic negative thoughts and faulty logic by challenging them and the assumptions on which they are based. Catastrophizing - "Things will never work out for me." Mind reading - "I know that person thinks I'm an idiot." Disqualifying the positive - "My past successes were easy, so they don't matter." Black and white thinking - "I got nothing out of that experience, it was a complete waste of time" or "Bad things always happen to me." "Cognitve therapy seeks to alleviate psychological stresses by correcting faulty conceptions and self-signals. By correcting erroneous beliefs we can lower excessive reactions."